Marcus Wise began his training in 1975 under the guidance of his guru Ustad Diam Ali Qadri of Jaipur India. Marcus has performed/recorded over the last 40 years with a myriad of East Indian, World music and Western Jazz. He has also accompanied spoken word performances/recordings/films all over the world with Robert Bly, Coleman Barks and many other poets. 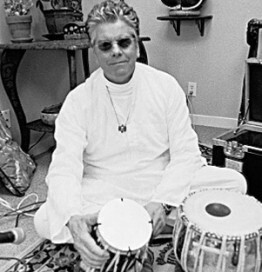 He has been the steady tabla rhythm of the GMC for over 40 years.